You start and end in Karaganda, a city located 200 km from the international airport of Astana. Therefore you will need at least nine days for this program including international flights. The Ulytau mountains always attracted the attention of nomads. 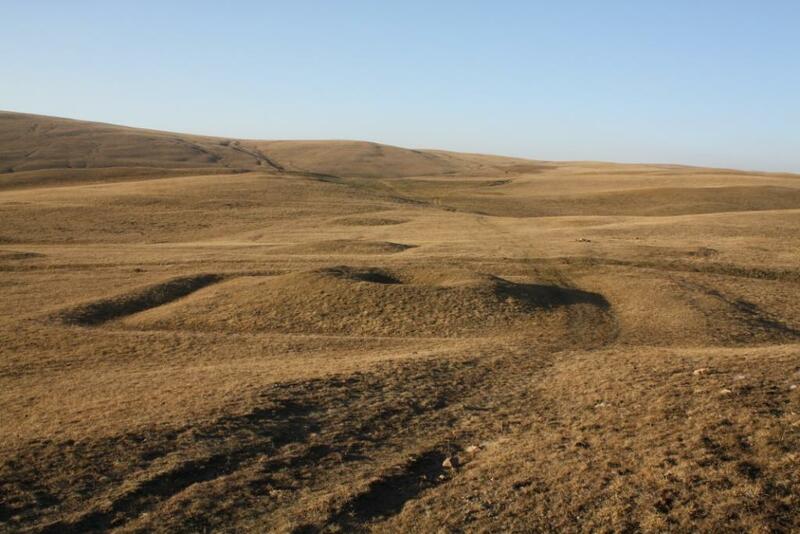 Here was situated the headquarters of the oldest son of Genghis-khan – Zhoshy (Juchi), who became ancestor of most of the Kazakh rulers. Moreover, here graphic evidence of historical events, connected with the name of Tamerlane the Great, can also be found. It’s remarkable, that exactly in the Ulytau mountains the grave of Alasha-khan – the legendary ancestor of the Kazakh nation – is situated. The Stone Age, the Bronze era, the Middle Ages and the new time – all the periods of history are presented in the Ulytau in their own particular and manifold way. The landscapes of the Ulytau are original and diverse: steppes alternate with amazing mountains and forests, a little more to the south real sand-dunes begin. You will get an opportunity to familiarize yourself with the flora and fauna of three ecosystems at once, each being unique and interesting in its own way. As for the steppe, you can have a look at it after ascending Yedyge and Auliye – two most sacred peaks of this mountain oasis. The traditional Kazakh hospitality also awaits you. In the homes of these friendly people you’ll be able to find shelter and repast, as well as get to know the traditional way of life better. The tour starts in Karaganda. We can help you in getting to this city, situated nearby Astana. Traveling from Karaganda to Terekty place. (445 km, 7 hours), lunch on the way in a roadside cafe. Walking excursion around the Terekty archaeological complex – the most famous collection of the petroglyphs of the Bronze age in Central Kazakhstan, visiting the nearby necropolis. Dinner and overnight stop in the field. Breakfast in the field. Traveling from Terekty to Zhezkazgan city (85 km, 1 hour). Exploring the city, excursion to the historico-archaeological museum. Lunch in a cafe. 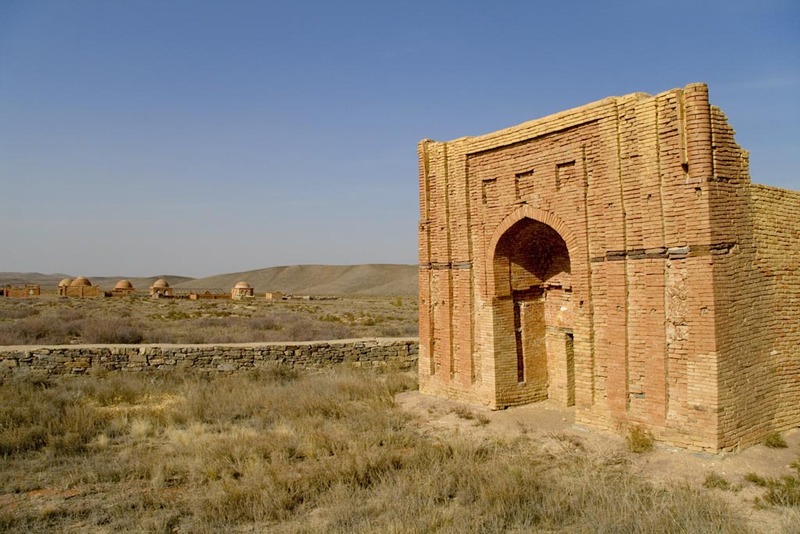 Traveling from Zhezkazgan to Alasha-khan mausoleum (85 km, 1.5 hours), excursion to the mausoleum of legendary ancestor of the Kazakh people and walk around the surrounding necropolis. 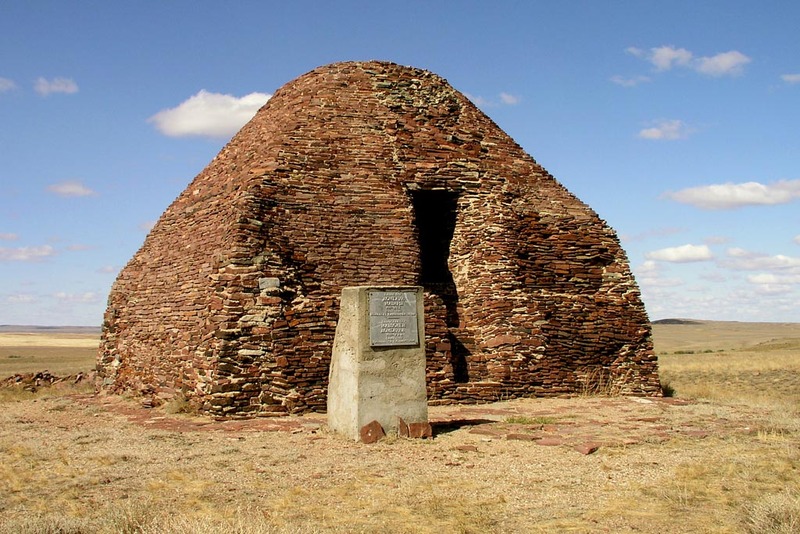 Traveling to Zhoshy-khan mausoleum and Dombauyl mausoleum of the Hun period (20 km, 30 min.). Exploring the above mentioned mausoleums. Traveling to Zangyr-tas place, famous for its petroglyphs and clinking stones (95 km, 2.5 hours). Traveling to Ulytau village (15 km, 30 min.). Overnight stop in a guest-house, dinner. Breakfast. Traveling from Ulytau to the foot of Yedyge mountain (32 km, 1 hour). 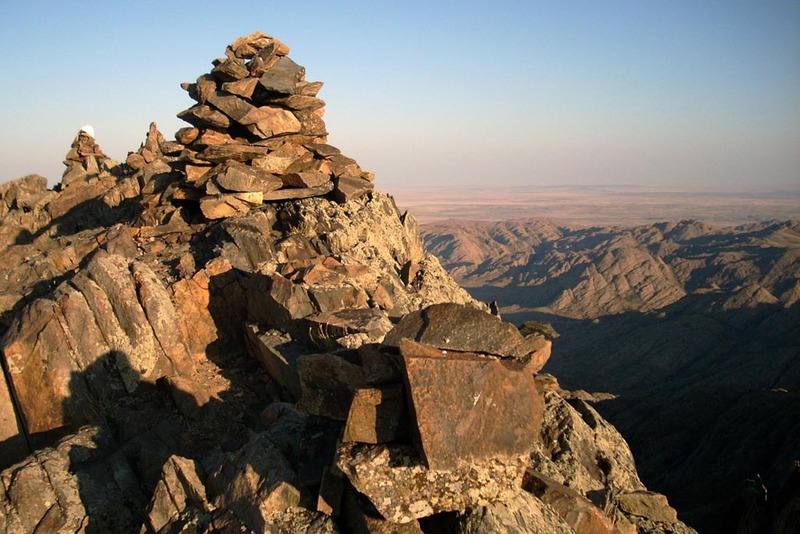 Ascending Yedyge mountain (there and back – 3 hours, 300 metres ascent) – an excellent outlook of the mountain oasis and surrounding steppe (1065 metres height above sea level). Watching Tokhtamysh-khan and Yedyge-khan graves, situated on the top of the mountain. Descending and lunch in the hut. Coming back to Ulytau (1 hour). 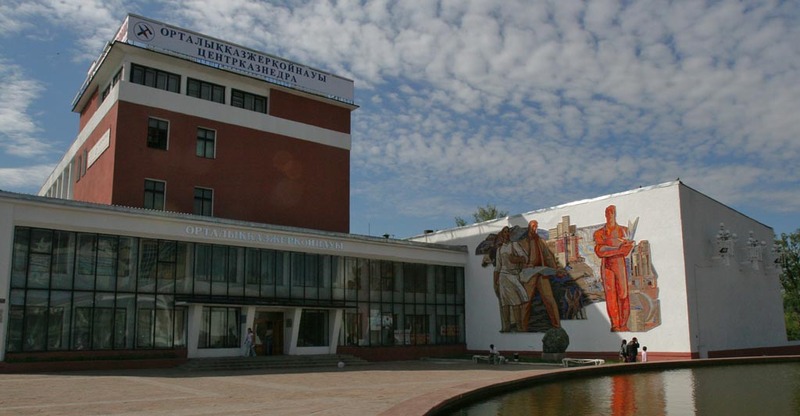 Visiting the museum of history and local lore. Dinner and overnight stop in a guest-house. Breakfast. Traveling from Ulytau to Altynshoky (55 km, 1.5 hours). Ascending the hill, where the copy of the stone with the inscription made by order of Tamerlane during his campaign to the Golden Horde, as well as rests of the smelting furnace, with the help of which the inscription was made, are situated. Traveling to Baitleu winter hut (49 km, 2 hours). Lunch and accomodation in the hut. Excursion to the Tamdy river valley and petroglyphes situated there. Exploring Yusuf-Mazar on the way (about 10 km, 2.5 hours). Coming back to the winter hut. Acquaintance with the life of local people (yurt, horses). Dinner and overnight stop in the hut. Breakfast. Traveling from Baitleu to Ulytau village (75 km, 2.5 hours). Lunch in a guest-house, traveling to the bottom of Auliye (Ulytau) mountain (2 km, 15 min.). Ascending sacred Auliye mountain (there and back – 2.5 hours, about 400 metres ascent) – the highest point of the Ulytau mountains (1133 metres), attracting pilgrims from all over the country. Watching ancient graves of the 7 Saints on the top, exploring the cave. Descending and coming back to Ulytau village (15 min.). Dinner and overnight stop in a guest-house. Breakfast. 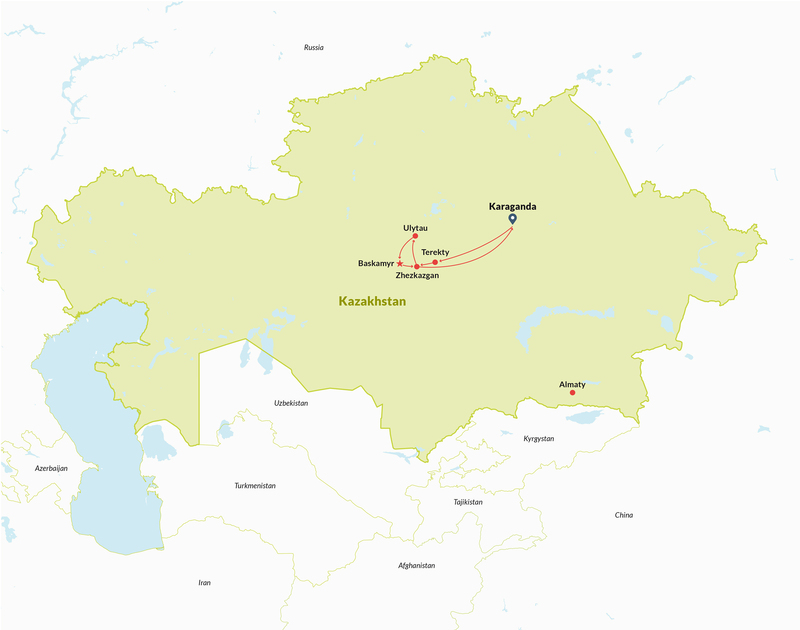 Traveling from Ulytau to the medieval settlement Baskamyr (60 km, 50 min. ), visiting the monument of unity of the people of Kazakhstan, erected in the geographical center of the country, on the way. Excursion around the settlement of the 8-12 centuries and archaeological dig of the Bronze age settlement. Traveling to Ayakkamyr mausoleum (15 km, 25 min.). Watching mausoleums of the Golden Horde period. Traveling to the Zhezdy village (15 km, 25 min). Visiting the museum of history of mining and smelting. Traveling from Zhezdy to Zhezkazgan (60 km, 40 min). Lunch in a cafe. 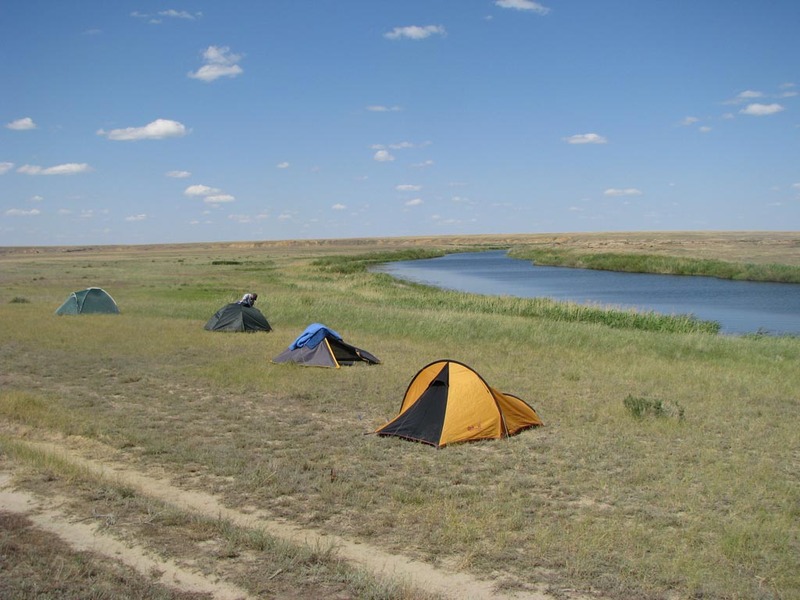 Traveling from Zhezkazgan to the Zhetykonyr sands (135 km, 3 hours). Overnight stop in a guest house, dinner. Breakfast. Walking tour around the sand-dunes, acquaintance with local flora and fauna. Traveling from Zhetykonyr to Karaganda, lunch in a cafe on the way (635 km, 10.5 hours). Coming to Karaganda. Farewell party. The cost of this program at four persons is €625 p.p. and at two persons €950 p.p. For other group sizes please write to us. 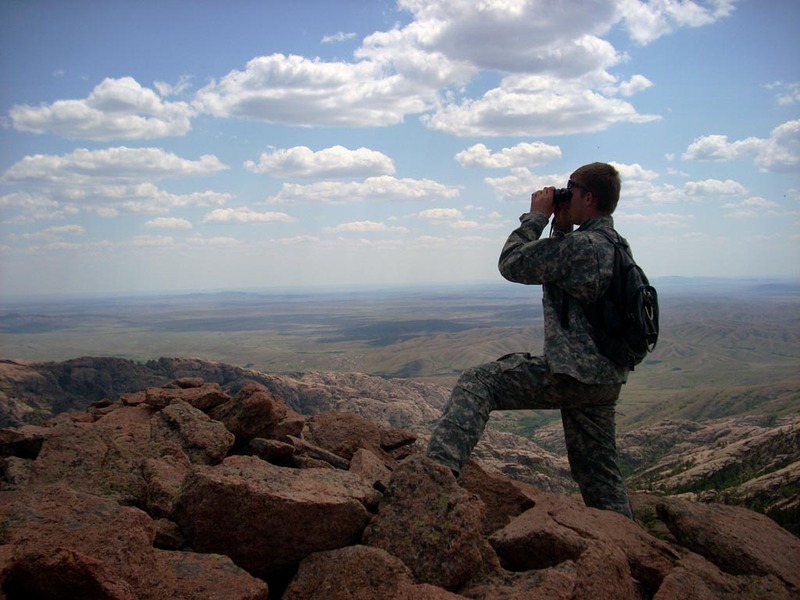 The above mentioned prices do not include: visa expenses and consular fees, insurance, the price of getting to the starting point of the route in Karaganda and services not mentioned.